ASUS has launched the ZenFone Live in India. The phone is priced at INR 9,999 ($154) and is going on sale today. First, let's get the specs out of the way. 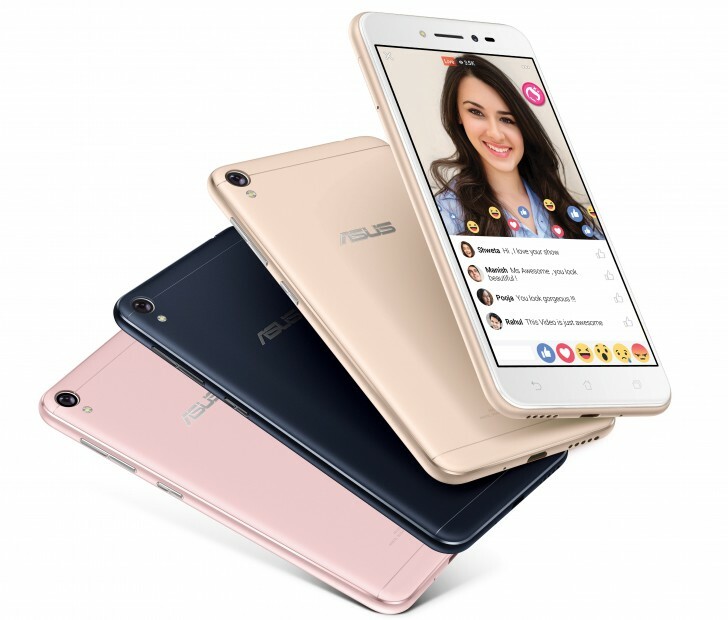 The ZenFone Live has a 5.0-inch, 1280x720 IPS LCD, Qualcomm Snapdragon 410 with quad-core CPU and Adreno 306 GPU, 2GB RAM, 16GB storage with microSD support, 13 megapixel f2.0 rear camera, 5 megapixel 1.4um pixel front camera with LED flash, dual SIM, 2650mAh battery, and Android 6.0 with ZenUI 3.0. ASUS calls it the world's first live streaming, real-time beautification phone. This means the phone has global beautification mode enabled for the camera that works in any app and in any application, including live streaming to Facebook, YouTube or Instagram. ASUS also claims the front camera on this is greatly enhanced with 1.4um pixels that have 2x greater sensitivity compared to other sensors. It also has an LED light at the front for a soft flash and an 82-degree wide angle lens. The phone also includes dual MEMS that are optimized to pick up voice even in noisy environments. Lastly, there is DTS Headphone: X support for virtual 7.1 channel surround sound audio through headphones and a 5-magnet loudspeaker. The ZenFone Live will be available in Navy Black, Rose Pink, and Shimmer Gold.